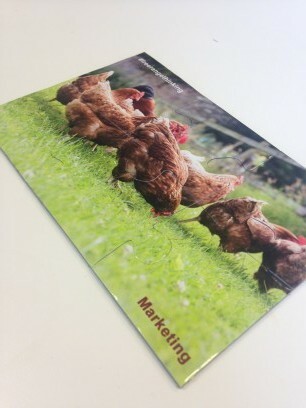 Whilst we embark on a multitude of marketing activities for our clients, it’s important to practice what we preach and spend time marketing OURSELVES…hence the reasoning for our #freerangethinking direct marketing campaign. As a team, we selected 45 business that we wanted to work with as potential new clients. Following detailed research (and a bit of stalking) we managed to select and pinpoint the relevant target at each organisation. These individuals were identified as the recipients of our campaign. We then used a courier service to mail these cherry-picked targets a bespoke jigsaw without any branding on as well as a crucial piece of the puzzle missing – mysterious huh? It did however, contain a simple hashtag #freerangethinking under which we created social content including blog posts, marketing snippets and a dedicated page on our site to track traffic and engagement levels. 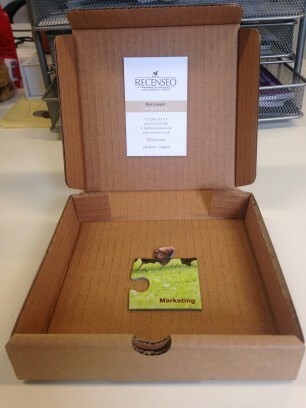 After the recipients had had enough time to peruse our #freerangethinking content and wonder whether the postman had misplaced the final piece, one week later we sent the missing puzzle corner along with a business card. We’d been clever and crafted the final piece to include the word ‘Marketing’ (meaning that marketing is the missing link…you would think we’d planned this!!). No it’s not a pizza in there..!! 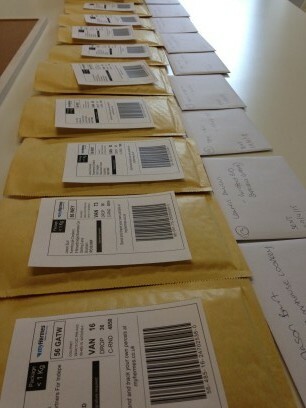 One week later, we follow-up called each recipient to ‘humanise’ the campaign by introducing Recenseo officially with the hope of building key relationships…eventually leading on to new business. On one call we were thrilled to hear that our campaign was the talk of the whole office! We are delighted at the reception of this campaign which has already helped us establish a number of new business opportunities and contacts. Often marketing can be a slow burn so generating awareness is fundamental in the first instance and should be the bedrock of any plan. A direct mailing campaign can be easily measured, highly flexible and land straight on your target’s desk – that’s enough justification for us!